Would you like to set up a link to this website? Le Cause is a luxury guest house situated in Dordogne. Surrounded by beautiful rolling hills and established forest, it is the perfect place for a romantic getaway or simply to take a break from busy city life. We are 20 minutes from Bergerac airport and 1h15 from Bordeaux airport. We serve fresh organic food grown on site. This is as good as French countryside gets! A charming two room holiday apartment in the central part of Cannes; lovingly decorated with a blend of modern and traditional furniture. It's ideally suited for up to four people. Riad Le Coq Fou & Riad Le Coq Berbère. Two wonderful, peaceful Riads located centrally in Marrakech's Medina. An ideal place to stay during your next visit to Morocco. 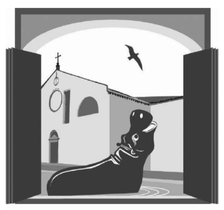 Die Reisephilosophen is a German language site offering a carefully chosen selection of Greek hotels, charming guest houses and exclusive apartments (with service). Die Reisephilosophen specializes in travel to Greece and provides full travel services. 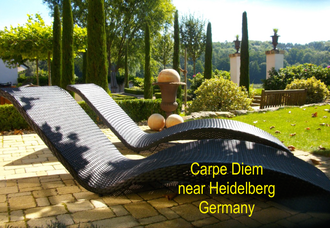 Carpe Diem is an elegant property near Heidelberg, set in a magnificent, Mediterranean-style garden. A modern, lovingly decorated 100m² apartment can sleep up to 4 persons. The sites are in German but we will be happy to answer your enquiries in English.